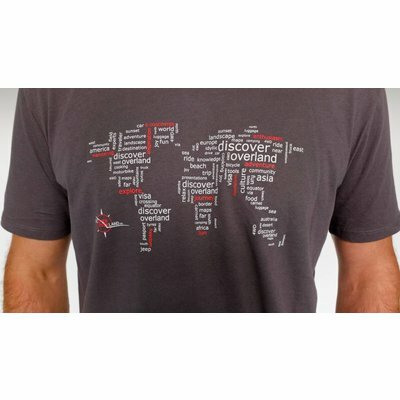 This beautiful T-shirt was designed for Discover Overland 2017, thé event for motorcycle travelers who want to travel to far and exotic destinations. 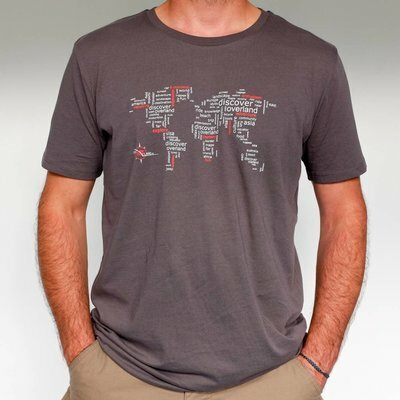 The beautiful world/word map is printed on soft organic cotton. 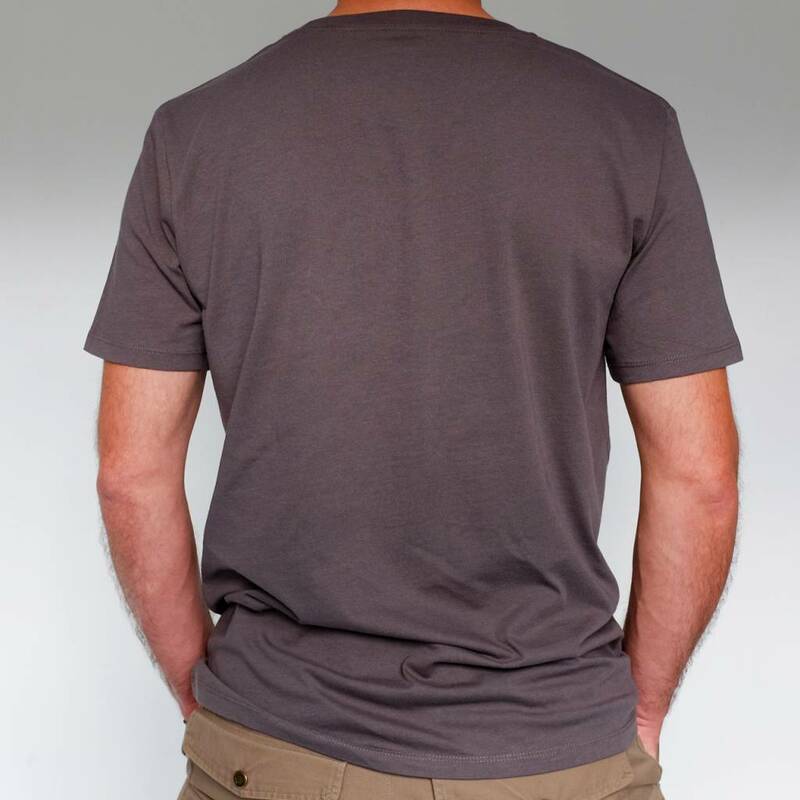 The T-shirt is available in men and women sizing. 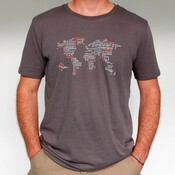 Th color of the shirt is dark grey with a white/red print. 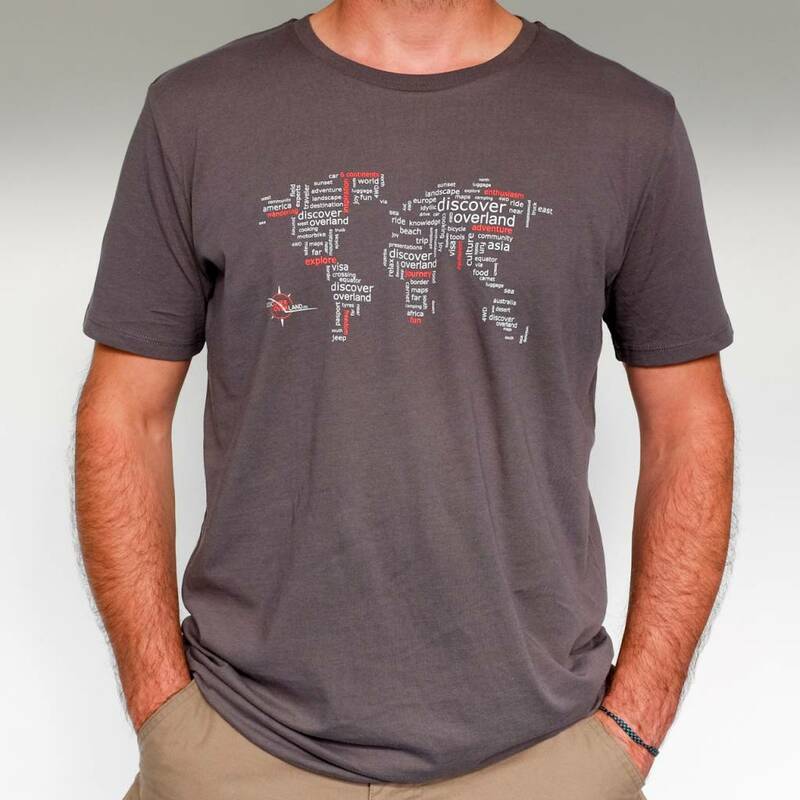 The gainings of the T-shirt will be completely transferred to Discover Overland and will be used for the 2018 event. 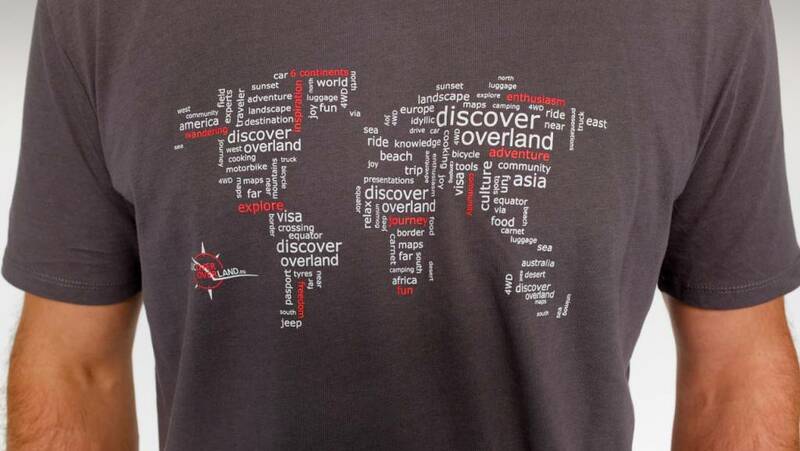 More information: Discoveroverland.eu or Facebook Discover Overland.